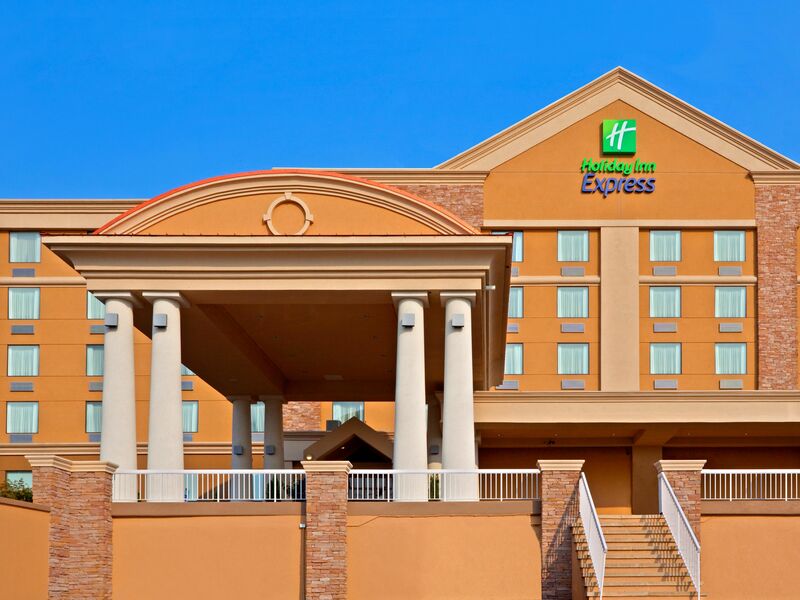 Holiday Inn Express North Bergen - Lincoln Tunnel Make your day hotel stay enjoyable and comfortable by booking your day stay at Holiday Inn Express North Bergen - Lincoln Tunnel. * This rate does not include taxes and fees. 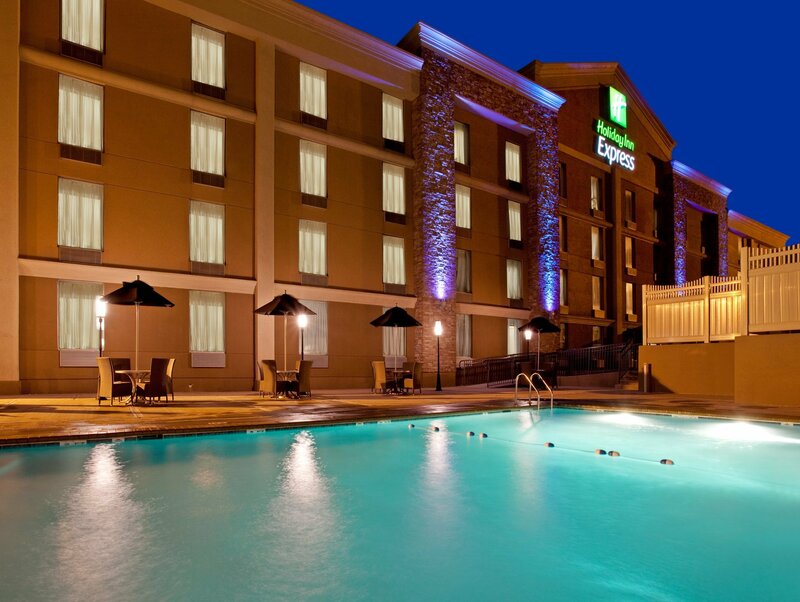 Holiday Inn Express North Bergen - Lincoln Tunnel is ready to offer you a first-class day hotel experience. 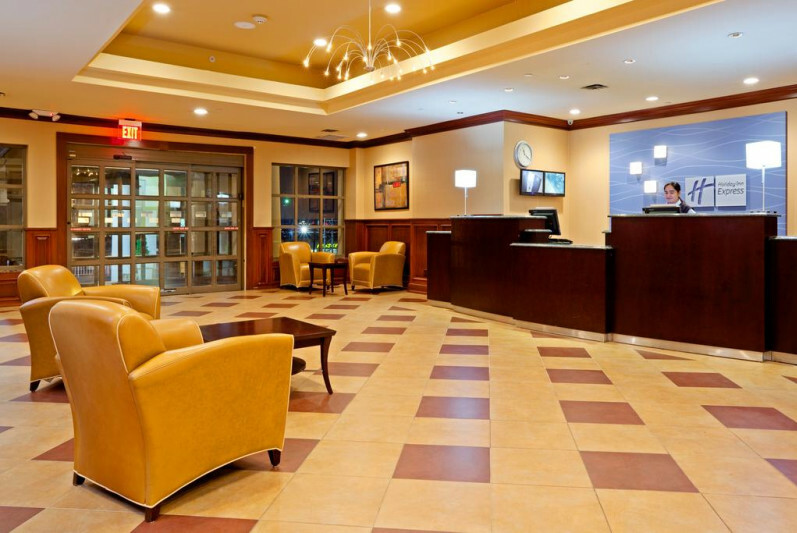 With unparalleled service and friendly personnel, this welcoming place is perfect for both business and leisure travelers. Each air-conditioned day use hotel room features a vast array of superb amenities such as flat-screen TV (cable channels included), weekday newspaper delivery, complimentary toiletries, and many others. Fell like you could use an energy boost? Head to the day stay hotel's lobby and enjoy an excellent coffee service. Any questions about the city, the surroundings, or your accommodation? The 24-hour front desk staff will be happy to help you. Travelling for business? Check out the 24-hour, well-equipped business center where you can get all your work done. For guests who love to stick their workout routine, the dayuse hotel has a fitness center and a swimming pool. 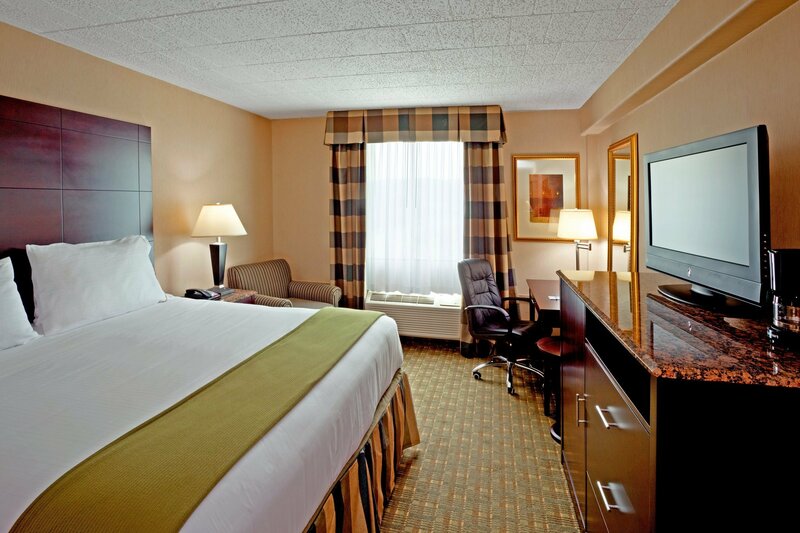 Book your private day room at Holiday Inn Express North Bergen - Lincoln Tunnel and spend your daycation in comfort and style! Holiday Inn Express North Bergen - Lincoln Tunnel is a lovely day booking hotel that is close to several tourist attractions and places of interest. Times Square – Experience the city's unique vibe! Centrally located, Times Square is the ideal place to shop, walk around, eat, and take pictures. Don't miss the chance of discovering this iconic spot. Empire State Building – Check out the most famous office business in the world! The fascinating Empire State Building will gift you with spectacular views of the city that never sleeps. Have your camera ready for this amazing moment of your daycation! Metropolitan Museum of Art – You cannot miss New York's most visited museum and attraction! Here you will be able to admire art from the entire globe, get inspired, catch some precious insights, and connect with the artists. 5. Pool is currently closed*- Standard Dayrooms don't have access to pool (for pool access, purchase 'Dayroom + Pool'). All information entered is strictly confidential and will never be shared with a third party.